How often do you run to improve your health? 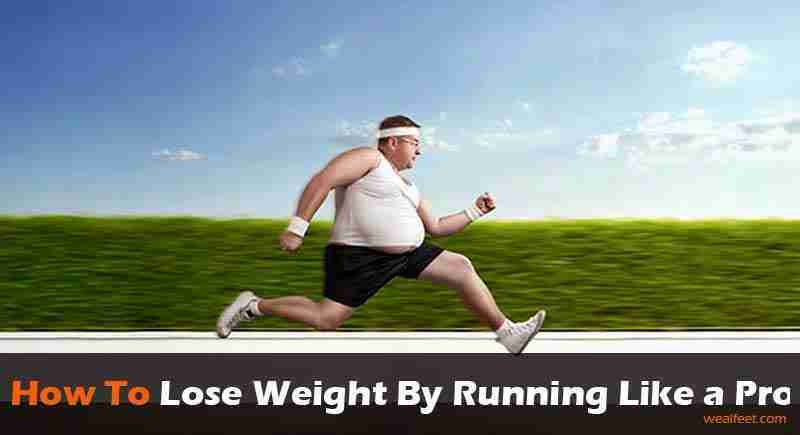 If your immediate concern is to lose weight through running, you must learn to do it right. Many people seem to prefer the treadmill than actual running. However, experts contend that actual running exercises the whole body. Astonishing research findings show that some forms of running have zero health benefits. You must consult a fitness expert on the best running techniques for your weight loss objectives. Think of running as an activity that involves both the body and mind. You have to engage the mind entirely for a sustainable fitness schedule. Unless the mind cooperates, every fitness activity is null and needless. Secondly, you must organize the logistics you need for a quality running experience. Before you think of running to lose weight, calculate your BMI. You must know whether you fall into the category of the underweight, healthy weight, obese or overweight. It would be improper to run strenuously if you are thin or average weight. Generally, BMI lets us know whether our body mass is in the right proportion with our height. Go out there and have your weight and height measured. Feed these figures in an online calculator to determine your BMI. Fitness experts recommend customized running schedules. The aspect of customization is usually based on BMI. Overweight and obese individuals need to more intensive running. The simple logic is that they must burn more calories. Ensure that you discuss with your trainer about your goals. Most trainers will help you to set realistic weight loss goals. Do not strain to lose weight within a short timeline because it can lead to harmful health consequences. Remember that losing weight is always an art of patience. It is not possible to achieve all your weight loss objectives with one single strenuous exercise. The best approach is to begin with short distances on a regular basis. The body starts to adjust gradually as you continue to practice. Remember that you cannot be Superman with a single attempt. You are more likely to achieve your weight loss goals with this strategy than doing a marathon in a single day. Running on a stretch of between 60 meters and 100 meters is recommended for beginners. Such running should be moderate to avoid early physical stress. The distance and pace of the run can be improved gradually with time. Always learn to measure the capacity of your heart before deciding on the appropriate running technique. Some beginners may stretch the capacity of the heart beyond its limits. Such tendencies often lead to loss of consciousness and excessive fatigue. If you want to improve your discipline in running, learn to maintain a strict timetable. The body usually responds well to fitness exercises that are scheduled within definite timelines. Most trainers prefer to exercise early in the morning. Morning schedules are considered appropriate because of their stimulating effect. Other people choose the evening hours for their routine running. If the time allows, you can schedule short running exercises in the morning and evening moments. Maintaining a disciplined running routine hastens the attainment of weight loss objectives. Running without a definite schedule usually, compromises the degree of success. The results can be worse for those who spend several days without training. Fitness experts warn us that irregular training often reverses the quality of results. It helps to build a positive attitude towards training as you strive to cut weight. The entire world is increasingly awakening to the importance of fitness. As such, it is quite easy to find someone who shares your goal to lose weight. It would be doubly rewarding if such a person is a spouse. However, friends and neighbors can also run together with you for the same reason. There is always a greater chance of achieving your fitness goals when you have supportive company. A higher level of commitment is usually at play in such a partnership. Think of a situation when you wake up feeling lazy, but you have to hit the tracks running. The chances are that you might want to reschedule your training until the time that you feel sufficiently strong. On such occasions, your running partners will encourage you to fight the fatigue and prepare for training. You will have to go for training as a matter of principle. Partnering to run for a shared weight loss objective helps to provide the crucial moral support. As you maintain a regular training schedule, also watch your diet. Some people run very hard and eat very poorly such that they do nothing in terms of weight loss. You must eat the right foods regarding nutritional value and calories. You need a balanced diet to provide sufficient fuel to the cells to keep you alert and strong. Remember that healthy eating reverses the wear and tear of muscles and tissues, which you incur as you run. Apart from maintaining a balanced diet, you should consider using the right supplements. Supplements provide the body with the nutrients that you may lack in ordinary foods. Besides, vegans and vegetarians may require supplements with proteins and irons that they lack because of their nature. However, it is important to consult your trainer about the best supplements that are ideal for your nature. Ultimately, learning the unique tricks of how to lose weight running is essential for healthy living. You must begin by assessing your unique needs before preparing a results-oriented schedule. It helps if such a schedule is designed with timelines and measurable goals. Partnering with another runner and maintaining a proper diet with supplements is the key to achieving your weight loss objectives.